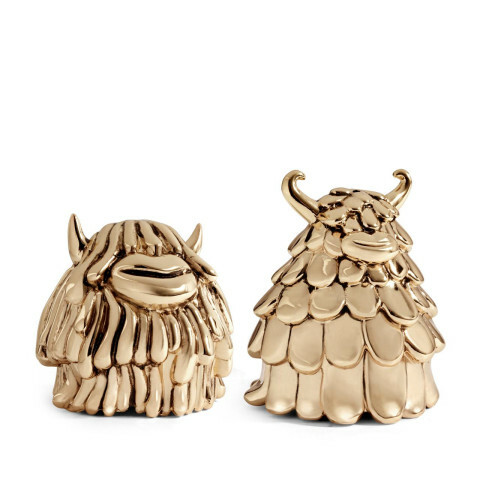 The L’OBJET Haas Brothers collection is a meeting of imaginative minds and skilled hands. Inspired by the otherworldly landscape of Joshua Tree, Los Angeles-based artists Simon and Nikolai Haas worked in close collaboration with the master craftsmen at L’OBJET to create a collection that spans tableware, home décor, textiles and fragrance. Together, they have brought to life a family of characterful creatures with the highest quality of finish and function. These are objects to be cherished. In using them, everyday moments become memorable; the ordinary becomes extraordinary. If necessary, handwash with a mild, non-citrus dish soap and dry with a soft cloth.